Metro Vancouver Alliance (MVA) has done a good job of linking faith groups with other broad-based organizations to address social issues in our community. 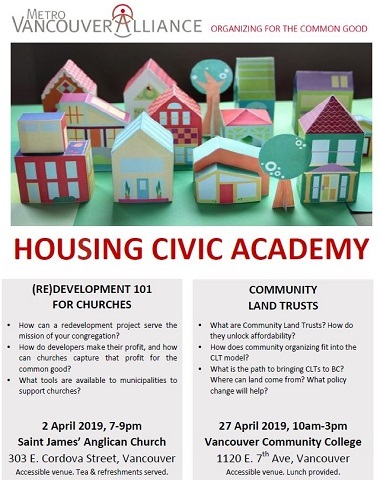 Housing has always been one of their main priorities, and now they are hosting a ‘Housing Civic Academy’ on (Re)Development 101 for Churches, next Tuesday evening (April 2), at St. James Anglican Church. Most faith leaders are not housing development experts, yet many congregations own valuable, underdeveloped property that allows them to consider new possibilities for the future of their organization. Come participate in a power analysis of development in the region. We will examine the tools used by developers, municipalities, and non-profit partners to deliver housing. We will look at where landowning churches fit into this picture, and we will strategize about development plans that can help you make decisions on your own terms and live out your values as a faith organization. Our evening will include a presentation by Paul Finch from BCGEU, former MVA board member, theology enthusiast and real estate expert. He will share some little-known development secrets with us because he is passionate about helping churches make development decisions that puts their values, mission and the common good at the centre. The workshop is intended as “a space for faith leaders to share their values, goals and expertise on housing development.” Everyone is invited, but registration is required. Go here, or contact the organizers at info@metvanalliance.org if you have questions. A second workshop on Community Land Trusts will take place April 27. The redevelopment of First Baptist Church is now under way. While it is true that “most faith leaders are not housing development experts,” it is also true that a good number of churches have gained considerable expertise. Dan Fumano and Douglas Todd wrote a good article on that very point March 23 in the Vancouver Sun: Houses of the Holy: in Vancouver, a union of church and real estate. Religious groups have long provided housing. In past generations, those efforts focused on helping vulnerable populations with shelter beds for the homeless, refuges for women and children fleeing abuse, and housing for low-income seniors. 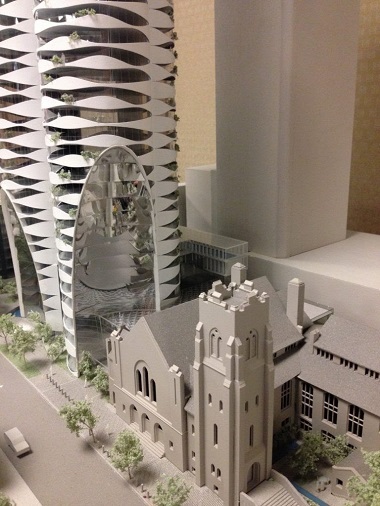 But the role of Metro Vancouver’s religious groups in the housing world is changing. . . .
First Baptist Church is venturing into a grand project with private developer Westbank that includes, alongside public amenities, a 57-storey high-end condo tower designed by the late Bing Thom, one of Canada’s most famous architects. . . . They discussed some of the challenges and opportunities for faith-based groups in providing housing with Jonathan Bird, who is now working as church engagement specialist for Union Gospel Mission, but is also a past member of Metro Vancouver’s steering committee on homelessness and has organized three major housing conferences for the Christian community. If an organization can subsidize affordable homes – such as for seniors or low-income families – that provides a clear benefit for the community. 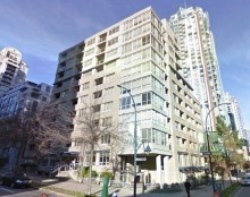 But with the realities of Vancouver’s housing market, with a near-zero rental vacancy rate putting pressure on all kinds of families and not only the most vulnerable, even the addition of new apartments at market rents can be helpful, said Bird. 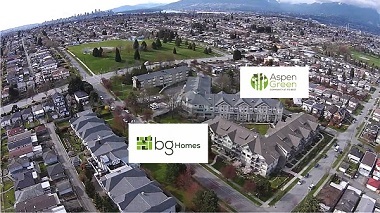 Aspen Green is the most recent of five residences that are part of BG Homes, just east of Rupert between 4th and 5th Avenue. * BG Homes is a not-for-profit organization, active since 1951, affiliated with the Canadian Baptists of Western Canada. The residences are The Cedars, Beechwood, Charles Bentall, Rupert and Aspen Green, all clustered together in northeast Vancouver. Co:Here Housing completed “a four-storey affordable housing building with 26 self-contained units: 18 studios, 4 one bedroom and 4 two bedroom units, large indoor and outdoor community engagement spaces” last year, on their parking lot. The Wellspring is one of three buildings operated by the 127 Society for Housing, initiated by Christ Church Cathedral. I really appreciate your work Flyn. From a missional perspective this article points to the value of collaborative education for the sake of missional sustainability. All referred housing initiatives are good expressions of our Christian call to hospitality, particularly in this housing crisis. I am deeply inspired by individuals and churches in our city that are responding justly and missionally to the housing crisis. I know of gracious landlords who are resisting the temptations of reno-victions or short-term rentals. I know home owners selling homes at prices that do not contribute to the current speculation trends. I know single-income renters who make room in their homes for people without a home. And, the churches in your article are being good news to this housing crisis by providing social and affordable housing. Learning collaboratively on re-development seems like a good way to “sit down and estimate the cost” (Luke 14:25-34) before we build and welcome. Education contributes to sustainability in mission. I really hope that many leaders will make time to attend this MVA workshop to share values and wisdom around re-development for the sake of Christ’s mission in our city.